EDITOR: The Boycott is biting, and Israeli academics are running scared! 155 academics sign petition calling Ariel, where the education center is located, an illegal settlement whose existence contravenes international law and the Geneva Convention. Some 155 university and college faculty members have signed a petition calling for an academic boycott of the Ariel University Center. Among the signatories are three Israel Prize laureates – professors Yehoshua Kolodny of the Hebrew University of Jerusalem, Benjamin Isaac of Tel Aviv University and Itamar Procaccia of the Weizmann Institute of Science. “We, academics from a variety of fields and from all the institutions of higher learning in Israel, herein express publicly our opposition to the continued occupation and the establishment of settlements,” the petition states. “Ariel was built on occupied land. Only a few kilometers away from flourishing Ariel, Palestinians live in villages and refugee camps under unbearably harsh conditions and without basic human rights. Not only do they not have access to higher education, some do not even have running water. These are two different realities that create a policy of apartheid,” the petition also says. The petition was initiated and organized by Nir Gov of the Weizmann Institute’s Department of Chemical Physics. Unlike other such initiatives, over a third of the list’s signatories are from the natural and exact sciences. Gov, who started organizing the petition a few weeks ago, said it was important to show that not only people known from other petitions support a boycott of Ariel, and therefore this petition has among its signatories many scholars who are not from the social sciences and the humanities. “Israeli academia must differentiate itself from the ‘settlement’ academia,” said Gov. “Only significant differentiation can help our supporters abroad who are working against an academic boycott of Israel. This assistance is important, but all in all it is secondary to the principled stand that the goal of the establishment of the college at Ariel was not teaching and academic research, but political. It may be too late, but we felt a need to state in the clearest language that Israeli academia must not be involved in the settlement project,” Gov also said. Israel is gearing up for another major offensive into Gaza, yet the world community still remains bafflingly silent. It is dismaying that during this dark anniversary period two years after the launch of the deadly attacks on the people of Gaza – code-named Operation Cast Lead by the Israelis – that there should be warnings of a new massive attack on the beleaguered people of Gaza. The influential Israeli journalist, Ron Ren-Yishai, writes on December 29, 2010, of the likely prospect of a new major IDF attack, quoting senior Israeli military officers as saying “It’s not a question of if, but rather of when,” a view that that is shared, according to Ren-Yishai, by “government ministers, Knesset members and municipal heads in the Gaza region”. The bloody-minded Israeli Chief of Staff, Lt. General Gabi Ashkenazi, reinforces this expectation by his recent assertion that, “as long as Gilad Shalit is still in captivity, the mission is not complete”. He adds with unconscious irony, “we have not lost our right of self-defence”. More accurate would be the assertion, “we have not given up our right to wage aggressive war or to commit crimes against humanity”. And what of the more than 10,000 Palestinians, including children under the age of 10, being held in Israeli prisons throughout occupied Palestine? Against this background, the escalation of violence along the Gaza/Israel border should set off alarm bells around the world and at the United Nations. Israel in recent days has been launching severe air strikes against targets within the Gaza Strip, including near the civilian-crowded refugee camp of Khan Younis, killing several Palestinians and wounding others. Supposedly, these attacks are in retaliation for nine mortar shells that fell on open territory, causing neither damage nor injury. Israel also had been using lethal force against children from Gaza, who were collecting gravel from the buffer zone for the repair of their homes. As usual, the Israeli security pretext lacks credibility. As if ever there was an occasion for firing warning shots in the air, it was here, especially as the border has been essentially quiet in the last couple of years, and what occasional harmless rockets or mortar shells have been fired, has taken place in defiance of the Hamas effort to prevent providing Israel with any grounds for the use of force. With Orwellian precision, the reality is quite the reverse: Israel from its safe haven continuously attacks with an intent to kill a defenceless, entrapped Gazan civilian population. Perhaps, worse in some respects than this Israeli war-mongering, is the stunning silence of the governments of the world, and of the United Nations. World public opinion was briefly shocked by the spectacle of a one-sided war that marked Operation Cast Lead as a massive crime against humanity, but it has taken no notice of this recent unspeakable escalation of threats and provocations seemingly designed to set the stage for a new Israeli attack on the hapless Gazan population. This silence in the face of the accumulating evidence that Israel plans to launch Operation Cast Lead 2 is a devastating form of criminal complicity at the highest governmental levels, especially on the part of countries that have been closely aligned with Israel, and also exhibits the moral bankruptcy of the United Nations system. We have witnessed the carnage of ‘preemptive war’ and ‘preventive war’ in Iraq, but we have yet to explore the moral and political imperatives of ‘preemptive peace’ and ‘preventive peace.’ How long must the peoples of the world wait? International liberal public opinion enthuses about the new global norm of ‘responsibility to protect,’ but not a hint that if such an idea is to have any credibility it should be applied to Gaza with a sense of urgency where the population has been living under a cruel blockade for more than three years and is now facing new grave dangers. 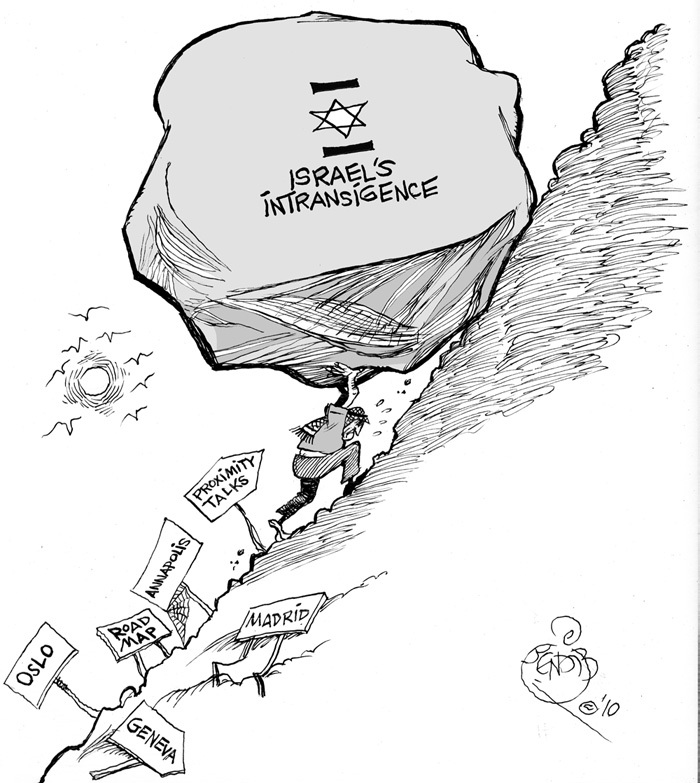 And even after the commission of the atrocities of 2008-09 have been authenticated over and over by the Goldstone Report, by an exhaustive report issued by the Arab League, by Amnesty International and Human Rights Watch, there is no expectation of Israeli accountability, and the United States effectively uses its diplomatic muscle to bury the issue, encouraging forgetfulness in collaboration with the media. It is only civil society that has offered responses appropriate to the moral, legal, and political situation. Whether these responses can achieve their goals, only the future will tell. 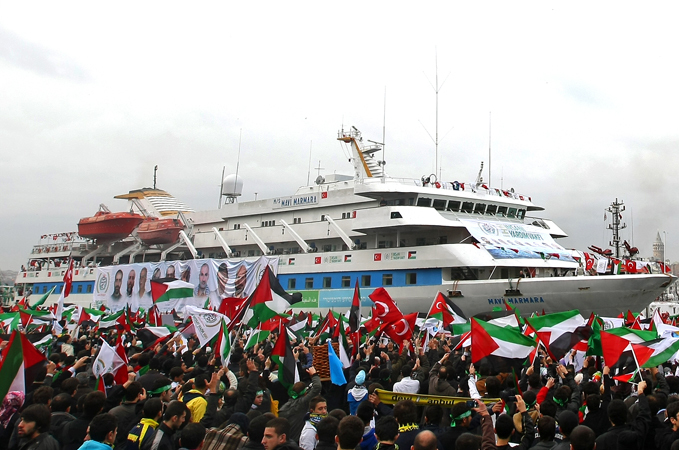 The Free Gaza Movement and the Freedom Flotilla have challenged the blockade more effectively than the UN or governments, leading Israel to retreat, at least rhetorically, claiming to lift the blockade with respect to the entry of humanitarian goods and reconstruction materials. Of course, the behavioural truth contradicts the Israeli rhetoric: sufficient supplies of basic necessities are still not being allowed to enter Gaza; the water and sewage systems are seriously crippled; there is not enough fuel available to maintain adequate electric power; and the damage from Operation Cast Lead remains, causing a desperate housing crisis (more than 100,000 units are needed just to move people from tents). Also, most students are not allowed to leave Gaza to take advantage of foreign educational opportunities, and the population lives in a locked-in space that is constantly being threatened with violence, night and day. This portrayal of Gaza is hardly a welcoming prospect for the year 2011. At the same time the spirit of the people living in Gaza should not be underestimated. I have met Gazans, especially young people, who could be weighed down by the suffering their lives have brought them and their families since their birth, and yet they possess a positive sense of life and its potential, and make every use of any opportunity that comes their way, minimising their problems and expressing warmth toward more fortunate others and enthusiasm about their hopes for their future. I have found such contact inspirational, and it strengthen my resolve and sense of responsibility: these proud people must be liberated from the oppressive circumstances that constantly imprisons, threatens, impoverishes, sickens, traumatises, maims, kills. Until this happens, none of us should sleep too comfortably! Instead of working toward revealing the truth behind the recent death of an anti-fence demonstrator the IDF is reaching into its bag of lies. Jawaher Abu Ramah died young. She stood facing the demonstrators against the separation fence in her village, inhaled very large quantities of the gas that Israel Defense Forces soldiers fired that day, collapsed and died several hours later at a Ramallah hospital. These are definitive facts. The IDF should have immediately issued a statement expressing sorrow for the death of the demonstrator, and said it would investigate the excessive means used for dispersing demonstrations at Bil’in, which had killed Bassem, Jawaher’s brother, for no reason. He was hit by a gas canister fired directly at his chest two and a half years ago. So, the IDF began with the spreading of lies, making up facts and spinning tales, originating with officers who did not dare identify themselves. Following the investigation into Jawaher’s death, it is also necessary to investigate how the army dares to distort in this way. Perhaps it will disturb Israeli society more than the death of a demonstrator. It started with the first announcement of the IDF spokesman who spoke of an “illegal demonstration.” Illegal, Avi Benayahu? 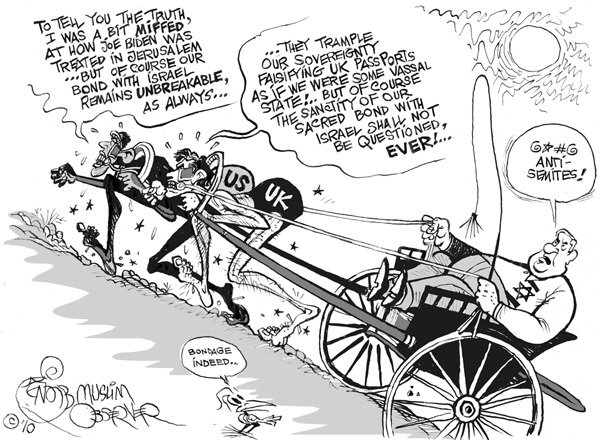 Stealing land for the construction of enormous settlements and the enrichment of questionable developers is legal; the defense establishment’s continuously ignoring the High Court decision that the fence route needs to be changed is legal; the killing of Bassem is legal; and only the demonstration is illegal. Why is it illegal? Are the Palestinians and the anti-occupation activists not entitled to demonstrate? What demonstrations can be more legitimate than peasants protesting against the theft of their lands – demonstrations that resulted in the High Court ruling? How could the Palestinians demonstrate legally? And why are the IDF and the police capable of dispersing the demonstrations of wild and violent settlers without deaths and only the dispersal of Palestinian demonstrations becomes – not for the first time – fatal? But that was not enough. The day after Jawaher was killed, the IDF began disseminating lies. It’s not clear why the army chose to embark on this campaign since a day after Jawaher’s death IDF soldiers intentionally killed a youth carrying a bottle at the Bik’ot crossing, but that did not stir any outburst. The IDF left little that it did not disseminate about poor Jawaher. It was said that she died at home in peace, and not in hospital. Oops, it was proved that she died in hospital. When the IDF learned that this trick did not succeed, it came up with other stories, a bag full of lies. Jawaher was not at the demonstration. There are no photos of her. She was there, observing from about 100 meters, and was choked by the smoke. Another lie from the bag of the IDF: Jawaher had cancer, not just any cancer, but leukemia. She stood at the demonstration and suddenly collapsed and died of leukemia. Where did they pull that from? Perhaps because her father died of leukemia five years ago. Blood? Through its propagandists in the media, the IDF said that the funeral was “strange,” that her face was “covered” and that her body was covered in a “blood-soaked” shroud (perhaps she cut her wrists? ). No one saw the shroud, nor the covered face – only God knows their importance, but whatever. It’s enough that the IDF says leukemia and bloody shroud for the army or right-wing analysts to raid the media and spread their tales. Jawaher watched the demonstration, inhaled gas, collapsed, was taken, in serious condition, by ambulance, to the hospital and died there the next day. As far as anyone knows, she did not suffer from leukemia. She had complained of vertigo, and the doctor diagnosed an ear infection. There was no autopsy, and the inventions on her medical past only desecrated the honor of the dead and her family. Even if she was taking medicine, as the IDF disseminated, did she not die as a result of inhaling gas? It’s good to know that the death of Jawaher is on the IDF’s conscience. That is how it should be. All 21 Palestinian anti-fence demonstrators who were killed over the years, and with them dozens activists who were injured, including an American student who lost her eye during the summer, should also be on its conscience. But the way to deal with a troubled conscience needs to be through the exposure of the truth, not through lies. For the attention of the new IDF spokesman: The IDF is not a propaganda ministry of an authoritarian regime. Justices Dorit Beinisch, Miriam Naor and Uzi Fogelman this morning (Monday) scolded Adv. Yochi Genessin of the State Prosecution, when it turned out that Interior Minister Eli Yishai did not answer a letter sent to him by Muhammad Abu Tir and three other Palestinian parliamentarians, who had called upon him to revoke the decision to expel them from East Jerusalem. The letter was sent to the minister two and a half months ago. Yishai was present at the courtroom in earlier stages, but left before the hearing of the appeal by the Palestinian parliamentarians threatened with expulsion. In their June 27, 2010 letter to the Interior Minister the four – Muhammad Abu Tir, Muhammed Totah, Khaled Abu Arafa, and Ahmed Atoun – noted that they do not regard themselves as representatives of the Hamas movement, but as representatives of the entire Palestinian people, and in particular as representatives of their constituents; the Palestinian residents of East Jerusalem. They pledged to act only within Israeli law, as well as not to take up any position in the Palestinian Authority if the holding of this position is in contradiction to Israeli law. Osama Saadi, the four’s attorney, told the judges that the text of this letter was agreed upon in meetings between high-ranking officials in the Palestinian Authority and senior Israeli governmental and security officials. “The Palestinian Authority had taken a high profile involvement in the issue after the four parliamentarians met with Palestinian President Mahmoud Abbas (Abu Mazen) and sought his help,” said Saadi. “Despite all the conflicts and sharp differences of opinion prevailing in the Palestinian system, all factions and parties regard as totally unacceptable the expulsion of Palestinians from anywhere – and all the more so, from Jerusalem in particular; this transcends any disagreements on other issues. At the time we thought that reaching this the formula with the Israeli officials had solved the problem. However, three days after the letter was sent, Jerusalem police arrested Muhammad Abu Tir and began deportation proceedings against him – and he remains in custody up to the present”. At the end of the hearing the court instructed the four parliamentarians’ attorneys to send again send the letter to Interior Minister Yishai, specifying the circumstances which were referred to during the court proceedings. Minister Yishai was told by the judges to respond within 30 days from receipt of this letter, and to convey his response to the court, and the parliamentarians and lawyers will be able to respond within ten days. No date was set for further proceedings, and in the meantime Mohammad Abu Tir will remain in custody at the Jerusalem police. 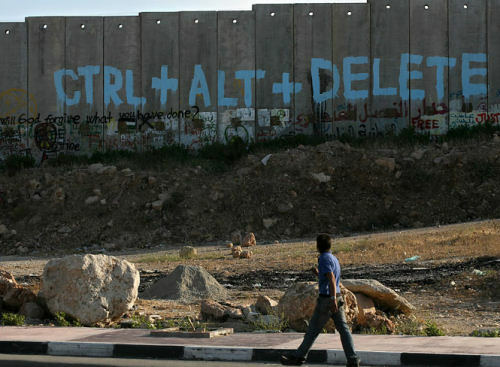 According to Uri Avnery, “The Palestinian residents of East Jerusalem have an inalienable right to live in their city. Deportation of Palestinians – of political leaders as of ordinary people – is a heinous and stupid act, which causes all of us an immense damage.” He said that in order to achieve a stable peace, such a peace must include all parts of the Palestinian people, including the very significant part represented by the Hamas movement. “We peace seekers came to the courtroom today in order to cry out against an outrageous act of injustice committed by our government does, and at the same time also to offer the government a sober political advice. These two things converge into one call: Tear up the deportation orders, let these four men return to their homes and their constituents, and invite them and their political associates to fully share in negotiations for peace”. Just look at them. This picture tells the whole story of those doomed ‘talks about talks’. Obama, rising above realities, and disconnected from them, in his olympus of pure projections, is decisive and clear – he has his goal worked out – to raise his flagging standing and miserable poll results, but even his own face tells us he knows that he has lost already. Netanyahu is smiling his furniture-dealer smile – he has got a customer, and a very good customer indeed, one which will buy whatever is on offer, and at a very high price, so he has all the reasons in the world to be smug and self-contented. He has snared another idiot, and he can go back to Jerusalem content in the knowledge that Israel can continue its occupation, settlement building and periodic massacres here, there and everywhere, without being bothered by the lame-duck President! Abbas is indeed as miserable as he looks, certain in the knowledge that his betrayal of Palestine is going to weigh down on him in the very near future, as it becomes crystal clear that he has sold his people and his country for even less than a Nobel Prize. He hjas indeed all the reasons to be damn worried and depressed, as indeed he clearly is. There have been exchanges of fire near the Israel-Gaza border, wounding five Palestinians and damaging property. Militants in Gaza have fired at least five rockets or mortar rounds into Israel since Monday. Israel said it struck two Hamas sites in the Gaza Strip late on Thursday, but Palestinian officials said five people were hurt in four separate air raids. Hours later, on Friday, Gaza militants again fired a rocket into southern Israel, a military spokeswoman said. The rocket exploded in the southern Shaar Hanegev area close to Gaza’s north-eastern border with Israel. Two days ago, a mortar shell landed near a kindergarten in the same community. There were no reports of injuries or damage in either attack. The Hamas government has vowed to try and rein in the firing of rockets from the Gaza Strip following Israel’s assault on Gaza in the winter of 2008. The latest exchanges come as Israeli and Palestinian leaders prepare to hold direct peace talks in Egypt on Tuesday. The talks – which kicked off in Washington last week – are the first direct negotiations between the two sides in almost two years. Speaking at an Eid el Fitr prayer, Mahmoud Habbash says Palestinians must reject any outside influence on path to achieve statehood. Iran’s interests run counter to Palestinian statehood, the Palestinians Ma’an news agency quoted a top Palestinian official as saying on Saturday, urging Palestinians to disregard outside interest and focus on the national cause. “The one who does not represent the Iranian people, who falsified election results, who oppressed the Iranian people and stole authority has no right to speak about Palestine, its president or its representatives,” Abbas spokesman Nabil Abu Rudaineh said last week, referring to the Iranian president. Ahmadinejad addressed a rally last week at Teheran University, where he dismissed the Israeli-Palestinian peace talks, saying the fate of Palestine would be decided in Palestine and through resistance and not in Washington. The PA minister was referring to the violent coup staged by Hamas in 2007, during which the Islamist group drove Fatah out of the territory and violently seized control. In an atmosphere of uncertainty, US President Barack Obama has thrown his whole weight behind re-launching direct negotiations between Israel and the Palestinians with the hope of reaching a settlement to the Israeli-Palestinian conflict within one year. Standing by him are Egypt and Jordan, with President Hosni Mubarak sending a clear message to Arabs and Egyptians that despair and anger should not again undermine prospects for peace. President Mubarak, in a lengthy article published in The New York Times, set out his vision for peace and the hurdles to be surpassed before reaching it. On the endpoint of negotiations, Mubarak said: “The broad parameters of a permanent Palestinian-Israeli settlement are already clear: the creation of a Palestinian state in the territories occupied by Israel in 1967 with Jerusalem as a capital for both Israel and Palestine.” Among hurdles, Mubarak underlined the psychological factor between Israel and the Palestinians as the biggest obstacle to success of the peace process, adding that peace between the Palestinians and Israelis is linked to a comprehensive regional settlement. Mubarak also stated that Egypt is ready to resume its efforts to address all issues related to Gaza in order to clear the way for a two state solution. “The Palestinians cannot make peace with a house divided. If Gaza is excluded from the framework of peace, it will remain a source of conflict, undermining any final settlement,” Mubarak said. Egypt has offered to host subsequent rounds of negotiations. The White House and US State Department have been careful about expressing their expectations of the upcoming talks. Hillary Clinton held a series of bilateral meetings to prepare the stage for the launch of direct negotiations. US State Department Spokesman Philip Crowley said meetings in Washington intend primarily to help the concerned parties understand what is required in order to grasp peace in the designated period. On the possibility of a statement or declaration following the talks today, a US spokesman said that the various parties are still working on the substance of negotiations. He noted that the US sees Egyptian and Jordanian support as necessary for the success of present endeavours. Crowley added that Washington would not simply re-launch negotiations but will stay in close contact with all leaders as well as acting as “a real partner” in the process. Crowley further said that Washington is focussed in two directions: first, concerned with form and how the negotiations will unfold; second, concerned with substance and the issues at the heart of the process. On the place of regional parties such as Hamas and Iran in a comprehensive peace, the US spokesman said that each party that accepts the Quartet principles could play a role in the Middle East peace process. He added that the US recognises that there are parties in the region that will attempt to reverse steps towards peace, but that Washington is counting on the commitment made by leaders to continue the peace process, calling for a show of political will and creativity in order to overcome the complexities and challenges that impede agreement on solutions to key issues. Above all, concerned parties should realise that they have a common interest in reaching a peace agreement. Egyptian Foreign Minister Ahmed Abul-Gheit said the Egyptian vision is clear. He said negotiations should last no more than one year, with implementation of an agreement in a year or two years. Abul-Gheit revealed that Egypt has reiterated during talks with the US over recent weeks the importance of a continued Israeli freeze on settlement building as a confidence building measure. He underlined that negotiations should start from where they last left off and acknowledged US intentions as serious and credible, saying that Obama has put improving US relations with the Arab and Islamic worlds as an agenda priority. He said Egypt would continue to play a central role in the Middle East peace process. The foreign minister added that the Palestinian side comes to negotiations on the basis of a statement of the International Quartet affirming the rule of international law; that the basis for a settlement is ending the Israeli occupation that began in 1967 and embracing a two-state solution whereby a Palestinian state can emerge. Palestinian detainees in Israel’s Ketziot prison in the Negev have decided to unite in order to secure better conditions, the Palestinian news agency Ma’an reported on Wednesday. The protest, which will start on April 7, marks the first time since 2006 that prisoners from all factions would unite in a demonstration. The prisoners have been unhappy with the restrictions placed on some of their families so they decided to protest and halt all family visits for one month. They have also decided to mark the protest by a hunger strike. A detainee in Ketziot prison, Mahmud Da’is, told Ma’an that “the prisoners were united in their determination to secure fair treatment for Palestinians. While in Washington the U.S. administration is trying to reduce tensions with Israel, in Jerusalem they go out of their way to depict in war paint the demands President Barack Obama put to Prime Minister Benjamin Netanyahu. Political sources in Jerusalem told Haaretz’s Ari Shavit this week that hiding behind the American demands is an intention to impose a permanent settlement on the two sides in less than two years. This is being presented as a troubling change in U.S. policy toward Israel, while the Americans issue veiled yet serious threats about the risks that allegedly loom for them if their credibility in the Middle East is lost. The top U.S. political officials and that country’s defense establishment recently made it clear that the continued Israeli-Palestinian conflict and the perpetuation of the occupation in the territories undermine the strategic interests of the United States (and Israel as well). The stern demands made of the Israeli government reflect Obama’s willingness to invest a significant effort in defense of these interests. It seems he concluded that the endless dialogue with the Israeli government does not push forward anything unless an American peace plan is formulated. This is not necessarily a bad thing. The possibility that the United States will propose a plan of its own and seek to convince the sides to accept it, or even impose it, is not the worst of all possibilities. However, it is obvious that a settlement reached through negotiations between Israel and the Palestinians is preferable to an imposed settlement, where not accepting it would involve an especially intense confrontation with the international community and deepen Israel’s isolation. The only way to prevent an imposed settlement must be through a realistic Israeli peace plan that is similar to that of the United States and based on agreements and understandings reached by previous governments. It must be based on principles that, obvious to everyone, are imperative for a settlement. A government that seeks to prevent an imposed settlement must not only bring to the fore serious propositions and demands of its own, it must avoid at all costs unilateral steps that signal an intention to foil all chances for an agreed settlement. An imposed settlement may prove to be the least worst alternative when compared with no settlement and a continuation of the situation. Those who fear an imposed solution must immediately present an Israeli peace plan. The US administration is pressing Israel for a four-month freeze on settlement construction in East Jerusalem and in return will encourage Palestinians to enter direct peace talks, the Ha’aretz newspaper reported today. The report, which cited an unnamed Israeli official in Jerusalem, said Washington believed this would be enough to restart peace talks for the first time since Israel’s war in Gaza more than a year ago. A number of senior Israeli ministers have said publicly they will not halt settlement construction in the city, but Ha’aretz said a “tacit agreement” with the US might be possible. “According to this idea, Israel would make it clear to the United States that during the coming four months no massive construction in East Jerusalem neighbourhoods would be planned or carried out, enabling Israel to be seen as meeting the American and Palestinian demands,” the report said. Palestinians have refused to return to direct talks with Israel without a full freeze on construction in Israeli settlements, in line with the road map of 2003. Washington too made an identical demand of Israel for most of last year, but in the end Israeli Prime Minister Binyamin Netanyahu put instead a partial, temporary freeze on construction in West Bank settlements. Netanyahu insists in public that he will continue to allow building in East Jerusalem, which Israel regards as sovereign territory. The international community does not recognise Israeli sovereignty in the east of the city and all settlement on occupied land is illegal under international law. Israel and the Palestinians had been due to start a new programme of “indirect” proximity talks earlier this month, but they were scuppered when Israeli authorities gave approval for 1,600 new homes in an ultra-Orthodox settlement in East Jerusalem. Ha’aretz reported earlier this week that Barack Obama had presented Netanyahu with several other demands during their meeting in Washington last week including the opening of a Palestinian commercial interests office in East Jerusalem, an end to demolitions of Palestinian homes in Jerusalem, and a commitment to discuss all the core issues of the conflict during the next round of talks. Benny Begin, another of the forum of seven ministers, said on Monday that US demands were “bothersome and certainly worrying”. “This change will definitely bring about the opposite to the declared objective. It will bring about a hardening in the policy of the Arabs and of the Palestinian Authority,” he told Israel Radio. Prof. Mazin Qumsiyeh has been an incredible source of news on incidents in the West Bank, and on the incredible brutalities meted out to Palestinians daily, and going unreported and uncommented by the western press and media. Every day, hundreds of such local events take place, where illegal occupation impact human life of all Palestinians with the brutality so normalised now by the IOF. Not a single Israeli will be able to stand up in a future session of the ICC and claim they had no idea what was done in the OPT, and yet, they go along with it, they partake in, they defend it in the media, and they attack us for exposing it. The next two clips, one from January, and the second from last week, are both examples of the deep degradation to which Israeli society has fallen. There is NO WAY this society will cleans itself, will see the criminality of its own methods, and will stop this. Only the whole international community, as was the case in South Africa, can do this, and we must mobilise to stop the war criminals now! Thank you, dear Prof. Qumsiyeh, for your courage in the face of those brutes. We stand with you! On the morning of Thursday 7 January 2010, Israeli soldiers attacked and injured Palestinian shepherds from the Musa Rabai family, as they grazed their sheep in Humra valley, near the village of At-Tuwani in the South Hebron Hills. Five members of the family were hospitalized. Before leaving the area, the soldiers arrested one of the shepherds, Musab Musa Rabai. Raba’i was interrogated and tortured for four hours. Riots took place all over East Jerusalem this week in protest of settlers threatening to force their way into the Al Aqsa Mosque. As a result, Israeli security forces shut down major areas of the Old City, including the mosque compound to Muslim men under 50. The Real News’ Lia Tarachansky spoke to Toufic Haddad, journalist and author of Between the Lines: Israel the Palestinians, and the U.S. “war on terror” about the real reason for these protests. Haddad explains that Israeli colonization over East Jerusalem led to home demolitions, confiscations, and the flourishing of settlements all over the Palestinian Territories. Because these protests are supported by the government, Palestinian protests are systemically repressed, leading to mass arrests, injuries, and sometimes death. another right-wing settler protest for Sunday through the Palestinian East Jerusalem neighborhood of Silwan. Prime Minister Benjamin Netanyahu said on Sunday that all Israeli governments have maintained the same policy on building in East Jerusalem, and that he has informed the United States administration of that in writing. “Construction in Jerusalem is like construction in Tel Aviv and we have clarified that for the American government,” Netanyahu said at the start of the weekly cabinet meeting. Netanyahu also said that Israeli policy regarding construction in Jerusalem has remained unchanged. However, Netanyahu has bowed to U.S. demands and promised the Obama administration that Israel will make several goodwill gestures toward the Palestinians ahead of his trip to Washington Sunday night. For the first time since Operation Cast Lead, Israel has agreed to ease the blockade on the Gaza Strip. Netanyahu has also agreed to discuss all core issues during the proximity talks, with the condition of reaching final conclusions only in direct talks with the PA.
Netanyahu responded to Washington’s demands during his telephone call with Secretary of State Hillary Clinton on Thursday night. Clinton said on Friday that Netanyahu’s response “was useful and productive, and we’re continuing our discussions with him and his government”. The prime minister refused to revoke a decision to build 1,600 Jewish homes in Ramat Shlomo in east Jerusalem – the cause of a diplomatic row errupted during a visit to Israel by U.S. Vice President Joe Biden two weeks ago – or freeze construction beyond the Green Line in the city. He did, promise a better oversight system to prevent such embarrassing incidents in the future, however. Senior officials in Jerusalem said that the prime minister’s gestures enabling the UN to transport construction materials to Gaza to rebuild sewerage systems, a flour mill and 150 apartments in Khan Yunis. Netanyahu also agreed to release hundreds of Fatah-affiliated prisoners as a gesture to PA President Mahmoud Abbas, a move which the defense establishment believes could prompt the release of captured IDF soldier Gilad Shalit. The prime minister is scheduled to leave for Washington Sunday night with Defense Minister Ehud Barak to attend the AIPAC Policy Conference in Washington. Opposition leader MK Tzipi Livni and Infrastructure Minister Uzi Landau will also attend the convention. Netanyahu is slated to address the convention tomorrow at 7 P.M. Israel time before then meeting Clinton, who is also to speak at the AIPAC gathering. No meeting has been set yet between Netanyahu and U.S. President Barack Obama, but over the weekend Israeli officials were scrambling to arrange one, which they hop will take place at the White House on Tuesday . Israel’s Washington envoy Michael Oren said on Saturday that outsiders cannot force peace on the Middle East, and any final settlement will have to be initiated by the Israelis and Palestinians themselves. In an interview with U.S. television station PBS, Oren said Israel was not interested in having the White House present its own peace plan. Any attempt by the United States to impose a peace deal would be like “forcing somebody to fall in love,” Oren said. Meanwhile, UN chief Ban Ki-moon said on Saturday after visiting settlements in the West Bank that Israeli building anywhere on occupied land – including in east Jerusalem – is illegal and must end. The Israeli Prime Minister says his nation’s security is his top priority. Too bad he’s undermining it. In international relations, whenever you hear the term “confidence-building measures,” you can be sure that someone is trying to kick a can down the road. Israeli Prime Minister Benjamin “Bibi” Netanyahu has now promised to offer such measures to the Palestinians. He has also urged that everyone “calm down” about the diplomatic row between his government and the United States. But this crisis hasn’t been caused by just one event—the announcement, while Vice President Joe Biden was visiting Israel, to approve new Jewish housing units in East Jerusalem. It caps a year of increasingly strained relations between Washington and Tel Aviv. And while he’s apologized for the ill-timed announcement, Netanyahu remains unyielding. In fact, the Israeli press has reported plans to build not merely the 1,600 units announced last week, but 50,000. “We will act according to the vital interests of the state of Israel,” Netanyahu said last week. But after watching Netanyahu’s government over the past year, I have concluded that he is actually not serious about the Iranian threat. If tackling the rise of Iran were his paramount concern, would he have allowed a collapse in relations with the United States, the country whose military, political, and economic help is indispensable in confronting this challenge? If taking on Iran were his central preoccupation, wouldn’t he have subordinated petty domestic considerations and done everything to bolster ties with the United States? Bibi likes to think of himself as Winston Churchill, warning the world of a gathering storm. But he should bear in mind that Churchill’s single obsession during the late 1930s was to strengthen his alliance with the United States, whatever the costs, concessions, and compromises he had to make. Iran’s rise has also placed Israel in the unusual position of being on the same strategic side as the major Arab states, as well as the United States. Saudi Arabia, Egypt, and Jordan are all deeply worried about the hegemonic ambitions of Iran, particularly if it obtains nuclear weapons. A core Israeli objective should be to strengthen this tacit alliance. What the moderate Arab states ask for, again and again, publicly and privately, is that Israel make some progress—even if only for appearances’ sake—on the peace process. The single biggest challenge for these countries is that Iran has appropriated the Palestinian cause, which makes it difficult for, say, the Egyptian government to take a public stand that is hostile to Tehran. Lowering the temperature on this issue would benefit the Arab states, strengthen their will to stand up against Iran, and contribute directly to Israeli security. Avi Shlaim, rarely speaking, but never one to mince words, is giving the lie to US noisy nonsense about how they are getting Netanyahu to do their bidding. Will the US follow his advice? Fat chance. Obama knows that Netanyahu controls more Congressmen on Capitol Hill than he does himself, through the nebulous machinery of AIPAC and other, less visible means. Obama has not got it in him, I believe, to face Israel down over this. Israelis are not renowned for their good manners, but their treatment of Vice-President Joe Biden during his recent visit to their country went beyond chutzpah. Biden is one of Israel’s staunchest supporters in Washington, and the purpose of his visit was to prepare the ground for the resumption of peace talks between Israel and the Palestinian Authority. An official announcement that Israel planned to build 1,600 new Jewish settler homes in East Jerusalem scuppered the talks, alienated the Palestinians, and infuriated Biden. It was a colossal blunder that is likely to have far-reaching consequences for the special relationship between the two countries. America subsidises Israel to the tune of $3bn (around £2bn) a year. America is Israel’s principal arms supplier, enabling it to retain the technological edge over all its enemies, near and far. In the diplomatic arena too, America extends to Israel virtually unqualified support, including the use of the veto in the UN Security Council to defeat resolutions critical of Israel. America condemns Iran for its nuclear ambitions, while turning a blind eye to Israel’s possession of a large arsenal of nuclear weapons. This unparalleled generosity towards a junior partner is largely the result of sentimental attachment and shared values. Israel used to present itself as an island of democracy in a sea of authoritarianism. But its own actions have shredded this image to pieces. It is now well on the way to becoming a pariah state. During the Cold War, Israel also used to promote itself as a “strategic asset” in helping to check Soviet advances in the Middle East. But since the end of the Cold War, Israel has become more of a liability than an asset. America’s most vital interests lie in the Persian Gulf; to ensure access to oil, the US needs Arab goodwill. Here Israel is a major liability, as a result of its occupation of Palestinian land and its brutal oppression of the Palestinian people. There is a broad international consensus in favour of a two-state solution to the Israeli-Palestinian conflict, and America is part of this consensus. A previous Democratic administration provided the most realistic blueprint for such a solution. On 23 December 2000, four weeks before leaving the White House, Bill Clinton unveiled his proposals. He called for the establishment of an independent Palestinian state over the whole of the Gaza Strip and 94 to 96 per cent of the West Bank, with a capital city in East Jerusalem. Both sides rejected this peace plan. In May 2003, after the invasion of Iraq, the Quartet – America, Russia, the UN, and European Union – issued the “Road Map”, which envisaged the emergence of an independent Palestinian state alongside Israel by the end of 2005. This time, the Palestinians accepted the plan with alacrity, whereas Israel tabled 14 reservations that amounted to a rejection. In August 2005, Israel carried out a unilateral withdrawal from Gaza but, far from being a contribution to the Road Map, this was the prelude to further colonisation of the West Bank. Ever since 1967, Israel has rarely missed a chance to miss an opportunity to make peace with the Palestinians. Its determination to hold on to the West Bank and East Jerusalem translates into rigid diplomatic intransigence. Settlement expansion has been a constant feature of Israeli policy under all governments since 1967, regardless of their political colour. Settlement expansion, however, can only proceed by confiscating more and more Palestinian land. The basic problem is that land-grabbing and peacemaking cannot proceed together: it is one or the other. The official American position since 1967, except under George W Bush, held that Jewish settlements on occupied Arab land are illegal and a major obstacle to peace. The Obama administration upholds this position. One can make the argument that maintaining the occupation of the West Bank is in Israel’s interest, though I utterly reject this argument. But it cannot be argued that the Israeli occupation of the West Bank serves the American national interest. Should America subordinate its own interests to those of its land-hungry ally? A growing number of Americans think not – and some are prepared to say so publicly. General David Petraeus, the head of Central Command, told the Senate armed services committee last week that the Israeli-Palestinian conflict was a root cause of instability in the Middle East and Asia, and that it “foments anti-American sentiment due to a perception of US favouritism for Israel”. In private, Joe Biden told the Israelis that their intransigence was undermining America’s credibility with Arab and Muslim nations and endangering American lives in Iraq and Afghanistan. Small wonder that the announcement of 1,600 new homes in East Jerusalem provoked such intense anger at all levels of the Obama administration. Israeli prime minister Benjamin Netanyahu’s apology related only to the timing and not to the substance of the announcement. Hillary Clinton, the Secretary of State, demanded the cancellation of the housing project, a substantial confidence-building measure towards the Palestinians, and a pledge to negotiate on all the core issues of the dispute, including the borders of a Palestinian state. Senator George Mitchell’s visit to Israel was postponed. President Obama correctly identified a total settlement freeze as an essential precondition for restarting the stalled peace talks between Palestinians and Israel, but he allowed Netanyahu to fob him off with a vague promise to exercise restraint for 10 months in building on the West Bank. The promise, however, did not apply to the 3,000 housing units that had already been approved or to East Jerusalem, which Israel had annexed following the June 1967 Six-Day War. Netanyahu knows that the Palestinians will refuse to resume peace talks unless there is a complete freeze on Jewish house construction there. But he is an aggressive right-wing Jewish nationalist and proponent of the doctrine of permanent conflict. It is because of him and his ultra-nationalist coalition partners that there is no light at the end of the tunnel. Obama has backed down once, but he is determined to face Netanyahu down this time. His best bet is to use economic leverage to force Netanyahu into meaningful negotiations with the Palestinians on a two-state solution. Even if the current crisis is resolved and the peace talks are resumed, they will go nowhere slowly unless President Obama makes American money and arms to Israel conditional on its heeding American advice. Any army fighting against children, has already lost! Demand the destruction of Israeli WMDs NOW! Any outside attempt to impose a deal would be like ‘forcing somebody to fall in love’, says ambassador. Outsiders cannot force peace on the Middle East and any final settlement will have to be initiated by the Israelis and Palestinians themselves, Israel’s Washington envoy said on Saturday. In an interview with U.S. television station PBS, Ambassador Michael Oren said that any attempt by the United States to impose a peace deal would be like “forcing somebody to fall in love”. Relations between the United States and Israel have suffered a turbulent fortnight after President Barack Obama’s administration reacted angrily to news of Israeli plans to expand Jewish housing beyond the Green Line in east Jerusalem, announced during a visit to Israel by U.S. Vice President Joe Biden. U.S. Secretary of State Hillary Clinton described the move, which frustrated American plans to mediate renewed talks betweem Prime Minister Benjamin Netanyahu’s government and the Palestinians, as an “insult”. But Oren said that Netanyahu had no advanced warning of the decision and was “blindsided” by the resulting high profile row between the allies. Low-level officials had done no more than to announce an interim stage of a planning program that was would take several years to complete, Oren said. The diplomatic storm peaked on Thursday when Clinton rebuked Netanyahu during a 43-minute telephone call, reportedly demanding that Israel revoke its recent building decision, roll back plans for new Jewish homes and make goodwill gestures such as releasing Palestinian prisoners and lifting some West Bank roadblocks. Senior U.S. officials in Washington said on Saturday that Netanyahu had put in writing pledges he made to Clinton during their conversation. PM agrees to suspend building in east Jerusalem as aides scramble to arrange Obama meeting. Prime Minister Benjamin Netanyahu has bowed to U.S demands and promised goodwill gestures toward the Palestinian Authority ahead of his departure for Washington Sunday night, Haaretz has learned. While Netanyahu has not agreed to stop building in east Jerusalem, he has promised to suspend it. Other gestures include alleviating the blockade on the Gaza Strip for the first time since last winter’s military offensive. Netanyahu also agreed to discuss the core issues in the dispute – including borders, refugees, Jerusalem, security arrangements, water and settlements – in revived U.S.-mediated talks. The prime minister was responding to demands made by U.S. Secretary of State Hillary Clinton during a telephone call on Thursday night. Clinton said on Friday that Netanyahu’s reply “was useful and productive, and we’re continuing our discussions with him and his government”. Netanyahu refused to revoke a controversial building project in Ramat Shlomo or freeze construction in east Jerusalem. However, sources in Jerusalem said he would keep the plan “on hold” – at least until a construction freeze in the rest of the West Bank comes to end in September. He also promised a better oversight system to prevent embarrassing incidents such as the announcement of plans for 1,600 new Jewish homes beyond the Green Line in east Jerusalem, which triggered the crisis with the U.S. during Vice President Joe Biden’s visit to Israel two weeks ago. Sources in Netanyahu’s office said the prime minister’s gestures include allowing the UN to transport construction materials to Gaza to rebuild sewerage systems, a flour mill and 150 apartments in Khan Yunis. Netanyahu also agreed to release hundreds of Fatah-affiliated prisoners as a gesture to PA President Mahmoud Abbas. Netanyahu is scheduled to leave for Washington Sunday night with Defense Minister Ehud Barak to attend the AIPAC Policy Conference in Washington. Opposition leader MK Tzipi Livni and Infrastructure Minister Uzi Landau will also attend the convention. Netanyahu is slated to address the convention tomorrow at 7 P.M. (Israel time), then meet Clinton, who is also to speak at the AIPAC gathering. No meeting has been set yet between Netanyahu and U.S. President Barack Obama, but officials believe such a meeting will take place on Tuesday in the White House. Israel’s Washington envoy Michael Oren said yesterday that outsiders cannot force peace on the Middle East, and any final settlement will have to be initiated by the Israelis and Palestinians themselves. In an interview with U.S. television station PBS, Oren said Israel was not interested in having the White House present its own peace plan. Any attempt by the United States to impose a peace deal would be like “forcing somebody to fall in love,” he said. Meanwhile, UN chief Ban Ki-moon said yesterday after getting a closer look at Israeli enclaves in the West Bank that Israeli settlement building anywhere on occupied land is illegal and must be stopped. “The world has condemned Israel’s settlement plans in East Jerusalem,” Ban told a news conference after his brief tour. I have written yesterday about an international sea chnge towards Palestine and Israel. It took 43 years of occupation and its iniquities, the Lebanon 2006 and the Gaza 2009 massacres and massive, wanton destruction, for the international community to real;ise this cannot and should not go on. Now the politicians are catching up, it seems. The UN secretary general is meeting Palestinian leaders at the beginning of a mission to press for a resumption of talks between them and the Israelis. Ban Ki-Moon’s first stop was in the West Bank town of Ramallah, where he met PM Salam Fayyad. He is to see the Israeli president Shimon Peres later. Israel’s controversial plan to build 1,600 more homes in East Jerusalem has provoked the latest round of diplomacy. It has been strongly criticised by the Quartet of the US, Russia, the EU and the UN. Israel announced last week it had granted permission for the new homes in the Ramat Shlomo area of East Jerusalem, occupied by Israel since 1967. Mr Ban stated the goal of an Israeli-Palestinian peace agreement – including a Palestinian state – within two years. The last time Mr Ban came to Israel was in the immediate aftermath of Israel’s military operation against Gaza 14 months ago. Then he did not hide his anger over the high human cost of that operation, and there may be strong words from Mr Ban this time over Israel’s refusal to halt the construction of settlements, the BBC’s Jonathan Head says in Jerusalem. On Sunday the US special representative George Mitchell will also visit the region to try to get the so-called proximity talks going between the Israelis and Palestinians. Israeli Prime Minister Benjamin Netanyahu is to travel to Washington where he is expected to meet Secretary of State Hillary Clinton and possibly President Barack Obama. Speaking to the BBC earlier, Mrs Clinton indicated that hardening the tone with Israel had paid off, with talks now back in prospect. “I think we are going to see the resumption of the negotiating track, and that means that is paying off, because that is our goal,” she said. The diplomatic efforts come as at least 11 people were injured by Israeli air strikes targeting Gaza’s airport, Palestinian officials say. The Israeli military confirmed the missile strikes near Rafah, in southern Gaza, which it said targeted militants. It was the second night of Israeli raids since a rocket fired from the Gaza Strip killed a worker on an Israeli farm on Thursday. Friday’s missiles hit Gaza’s long disused international airport and tunnels dug by militants near the border with Israel. On Thursday, Israeli missiles hit smuggling tunnels and a metal workshop in Gaza, but there were no reports of serious injuries. An Israeli military spokesman said the strikes were a response to five rockets fired at Israel from Gaza in the past two days – including one that killed a farm worker from Thailand in a kibbutz in southern Israel. He was the first person to be killed by rocket fire in southern Israel since the Israeli campaign in Gaza last year. Turkish Prime Minister Recep Tayyip Erdogan condemned an Israeli decision to approve hundreds of new housing units in east Jerusalem, Turkish news agencies reported Friday. In a meeting with his party, the Justice and Development Party (AK), Erdogan said ties between Israel and Turkey would not return to normal until the removal of the siege on the Gaza Strip. Erdogan added that the decision to approve 1,600 new homes in Jerusalem’s Ramat Shlomo neighborhood was “unacceptable”, and proves Israel “wants to erase the Palestinians step by step”. He called on Israel to halt all settlement activity and allow worshippers into Temple Mount immediately. “The steps taken by Israel can harm regional stability,” Erdogan added. Tensions have been mounting between Jerusalem and Ankara since Operation Cast Lead last year, and Turkey has criticized Israel severely for its actions in the Gaza Strip. Despite this, Turkey’s ambassador to Israel was optimistic last week, and told MKs “developments” would take place soon in the relations between the two countries. The Knesset yesterday put Israeli democracy to shame when it passed the “Nakba Law” at first reading with a majority of 15 against eight. If the law is passed at second and third readings it will be able to deprive bodies of state support and fine them if they mark Independence Day as a day of mourning, or if they hold memorial events for the Palestinians’ “catastrophe” in 1948. The proposal adopted at the end of the Knesset’s winter session was “moderate” compared to the original one initiated by MK Alex Miller of Yisrael Beiteinu. It stipulates fining public institutions that hold activity “denying Israel’s existence as a Jewish and democratic state,” and activity supporting armed struggle or terror against the state, inciting to racism or degrading the state’s flag or symbol. The bill is not aimed at punishing individuals and threatening them with imprisonment, as the original version was. But the amended version, despite its euphemistic wording, cannot hide the cabinet’s intention – excluding Arab citizens and infringing disproportionately on their freedom of expression and their right to tell their own historic narrative. The idea that it is possible to blur the Arab community’s past consciousness with laws and threats of fines is stupid. The “Nakba” wasn’t forgotten in the 62 years since Israel’s establishment, and the term is much more familiar and prevalent among Israelis today than in previous generations. The Palestinian refugees’ flight, the destruction of hundreds of Arab villages and the erection of Jewish towns and settlements in their stead are part of Israeli history. It cannot be made to disappear, as the majority’s narrative cannot be foisted onto a fifth of Israel’s citizens. The threat of depriving institutions that mark the “Nakba” of state financing is reminiscent of Culture Minister Limor Livnat’s complaints against the co-director of the movie “Ajami,” Scandar Copti, who said he does not represent Israel. Like the “Nakba Law” initiators, Livnat too believes that an artist who receives state support is bound to “loyalty” and must represent the state in competitions abroad. This is the Netanyahu-Lieberman cabinet’s spirit – we’ll support only those who think like us. Integrating Arab citizens into Israeli society is first and foremost a national interest, and its implementation requires that the Jewish majority display tolerance and openness toward the minority. Clearly the conflict makes this difficult and the Jewish-Arab rift will not disappear soon. But proposals like the “Nakba Law,” beyond violating basic democratic values, will only push the Arab community to greater extremism and separatism. The Knesset should be ashamed of passing the law at first reading. The Kadima and Labor factions should be denounced for not opposing it. But it’s not too late to block the harmful law in the next readings, before it stains Israel’s body of law. It is a testament to the hubris of Benjamin Netanyhau’s government that having seen off an attempt by Barack Obama to freeze settlement construction, it has now given the US President a second chance to claw back that defeat. Much has been said about the inadequacy of Mr Netanyahu’s apologetic admission that last week’s announcement of a plan to expand the Ramat Shlomo settlement was badly timed. As the American Secretary of State, Hillary Clinton, made admirably clear to the Israeli Prime Minister in her famous telephone call last Friday, Washington objected to the substance as much as to the timing. Yet the timing was indeed bad. It came less than 48 hours after Mr Obama’s envoy George Mitchell had finally been able to announce that indirect negotiations would go ahead – negotiations which an infuriated Palstinian leadership said it would not participate in if the plan stood. It is hard to believe that some in Israel’s government did not know that this would be the consequence. Certainly Mr Netanyhau’s suggestion that because the settlement is viewed by most Israelis as an integral part of Jewish Jerusalem, nobody thought to challenge it, is extraordinarily lame. No one who has been around Middle East politics as long as he has could be ignorant of how Palestinians would see the move. One view is that President Obama is heading for another defeat and that in an election year he cannot withstand the wrath of the powerful right- wing pro-Israel lobbying group, AIPAC. If so, serious scrutiny of the way AIPAC uses its ample funding to influence American democracy, mainly in what it perceives to be the interests of a foreign government, is overdue. Fortunately the arrival of J Street, a vastly less well-funded group but one more representative of the impressive majority of American Jews who voted for Mr Obama in 2008, and which is backing him now, makes that possible without the usual charges of anti-Semitism. But, as it happens, many American Jews will rally to the powerful argument that by restraining a Likud government prepared to jepoardise peace talks in this way, Mr Obama is actually acting as a true friend of Israel and its long-term security. And Mr Obama also has other domestic cards to play. This week’s warning by General David Petraeus of the “enormous” effect of continued Israeli-Palestinian tension on the tasks confronted by US forces in Muslim countries like Afghanistan and Iraq is a salutary, if overdue, reminder that an end to the conflict is an urgent American interest as well as an Israeli and Palestinian one. Yet Mr Obama may not be able to rely on mere rhetoric as President Bush senior did not when he briefly suspended loan guarantees to bring Israel to negotiations in 1991. Here the EU, a key trading partner of Israel, needs to lend its (albeit secondary) support. Lady Ashton did herself nothing but good yesterday by visiting Gaza. She should add her voice at the Quartet meeting in Moscow today to those urging an end to the destructive two and half year economic siege. She was of course right to condemn yesterday’s fatal Qassam rocket attack. And as she grows in authority, Baroness Ashton should ally herself with US efforts to break the wider deadlock in the Middle East. That need not bring Mr Netanyahu down (though it may). The Israeli prime minister could reach out to the centre and left to replace the fundamentalists in his coalition. But it is primarily the job of Mr Obama to help him decide whether those friends are more important to him than the alliance with the US. EDITOR: A sea-change on settlements? I an interesting response to Israel’s offensive and badly managed operation last week, which has managed to annoy just about everyone elsewhere, we can see that the Gaza Carnage in 2008/2009 has at last started to change the dynamics in Palestine. While there is no doubt that we are a long way away from a solution, there seems to be growing international tiredness with Israel and its aggressive agenda and murderous actions, and a greater readiness to confront it. Netanyahu and Liberman are obviously helping to bring this about, as their behaviour can hardly be acceptable even to hardened Zionist such as Biden and Clinton, as well as Obama. It will certainly take more to persuade dyed-in-the-wool Zionists like Brown and Sarkozy, but maybe their time is over, anyway. It seems clear to me that Israel has moved itself into a defensive square on the international map, and that its propaganda is no longer managing to cower international figures as it did in the past. This is still not enough, of course. Palestine is now represented by a pliant and spineless unelected government, and unless there is a change there, and resistance to the occupation, wall, settlements and the daily illegalities and brutalities are enshrined by the PNA, and also its own opeaations become democratic and open, then the chances for a just political settlement must be as low as they have ever been, or lower. With the war criminal Tony Blair representing the Quartet (what did he ever do to bring about negotiations, in the years he spent being paid by the Quartet?) then the chances for it playing a positive role are nil. The international Quartet of Middle East peace mediators has urged Israel to freeze all settlement activity. Speaking for the Quartet, UN Secretary General Ban Ki-moon condemned Israel’s announcement of plans to build new homes in disputed East Jerusalem. That move undermined efforts to restart indirect Israeli-Palestinian talks. Speaking to the BBC, US Secretary of State Hillary Clinton indicated that hardening the tone with Israel had paid off, with talks now back in prospect. Mr Ban met Mrs Clinton and the other Quartet foreign ministers – new EU foreign policy chief Baroness Ashton and Russia’s Sergei Lavrov – in Moscow. In a strongly worded statement, the Quartet condemned Israel’s announcement last week of planning permission for 1,600 new homes in East Jerusalem, occupied by Israel since 1967. After the announcement, the Palestinians declared they could not begin US-brokered indirect, or “proximity”, talks with the Israelis. “The Quartet urges the government of Israel to freeze all settlement activity, including natural growth, dismantle outposts erected since March 2001 and to refrain from demolitions and evictions in East Jerusalem,” Mr Ban said. Hillary Clinton seems to believe that the spat over settlements with Israel might produce something positive. In a BBC interview she appeared to concede that escalating the tone with the Israelis had been a risk but she said it was “paying off”. She added she believed there would be a “resumption of the negotiating track soon”. In other words, pressure on Israel is working. But the pressure will have to continue if there are to be concrete results. Israeli officials are already pushing back. Mrs Clinton said Benjamin Netanyahu had committed to peace and she made clear she expected him to deliver. She added it was his responsibility to bring the whole of his government, a right-wing coalition, on board. Palestinian chief negotiator Saeb Erekat welcomed the Quartet statement and urged the creation of a “surveillance mechanism installed by the Quartet to make sure that Israel does effectively halt completely all settlement activity in the West Bank and East Jerusalem”. The pressure is now on the Israelis to offer concessions that will convince the Palestinians to participate in talks, says the BBC’s Richard Galpin in Moscow. But Israeli Foreign Minister Avigdor Lieberman said the Quartet timetable was unrealistic and ignored “the last 16 years of Israeli attempts” at negotiating with the Palestinians. He said Israel had made many “significant gestures” and it was up to the Palestinians to “prove that they are really interested in negotiations”. Mrs Clinton told the BBC she hoped to see the resumption of indirect talks in the near future, eventually moving to direct talks. Events on Friday in the Middle East highlighted the difficulties the Quartet faces. Palestinians in the West Bank town of Hebron threw stones at Israeli security forces, who fired tear gas in return. And a rocket was fired into southern Israel from the Gaza Strip. It caused no injuries, but came a day after a rocket attack killed a Thai agricultural worker when it hit an Israeli kibbutz. Israeli aircraft attacked up to six targets in Gaza overnight but there were no reports of any serious casualties. On the eve of the Quartet meeting, Mr Netanyahu informed Mrs Clinton of new confidence-building measures that could be taken, but no details have been given. It is likely this means a goodwill gesture by the Israelis, like the release of Palestinian prisoners, says the BBC’s Kim Ghattas, travelling with Mrs Clinton. Enough progress was apparently made in their telephone conversation for George Mitchell, Washington’s Middle East envoy, to travel to the region this weekend. Mr Netanyahu is to visit Washington next week for further talks with Mrs Clinton. At the heart of the conflict are disputes over the status of Jerusalem, the borders of Israel and a future Palestinian state and the fate of Palestinian refugees. United States President Barack Obama said Thursday that there was ‘no crisis’ in ties with Israel, despite a high-profile diplomatic feud between the allies over the Netanyahu administration’s plans to build Jewish homes in east Jerusalem. “Israel’s one of our closest allies, and we and the Israeli people have a special bond that’s not going to go away,” Obama said in an interview on Fox News Channel’s Special Report with Bret Baier. “But friends are going to disagree sometimes,” Obama said. Prime Minister Benjamin Netanyahu on Wednesday called the timing of the decision to build 1,600 Jewish homes in the Jerusalem neighborhood Ramat Shlomo, announced during a visit last week to Israel by U.S. Vice President Joe Biden, “bureaucratic mishap”. “This neighborhood is located five minutes from the prime minister’s office,” Netanyahu told Catherine Ashton, the European Union’s High Representative for Foreign Affairs and Security Policy, in Jerusalem as part of her first official trip to the Middle East. According to Netanyahu, because it is considered a Jewish neighborhood, the Jerusalem District Planning and Building Committee which approved the project did not consider it a controversial subject. Netanyahu met with seven senior ministers late Wednesday to discuss possible Israeli responses to U.S. demands regarding the contentious East Jerusalem building project. A government source said Wednesday that it was possible that the forum of seven would not complete its deliberations tonight, and may continue on Thursday. During the meeting, Defense Minister Ehud Barak spoke by telephone with George Mitchell, the United States peace envoy to the Middle East, Haaretz learned. Mitchell had on Tuesday canceled a planned visit to Israel but told Barak that he was now considering arriving in the country on Sunday. Earlier in the week, Secretary of State Hillary Clinton told Netanyahu that the U.S. demanded the cancellation of the Ramat Shlomo construction project. Earlier Wednesday, Foreign Minister Avigdor Lieberman said that the demands made by the U.S. and other world powers regarding the cessation of Israel’s building projects in East Jerusalem were unreasonable, adding that he felt preventing Jews from buying lands anywhere in the capital is a form of discrimination. “There are thousands of East Jerusalem Arabs who live in the Jewish neighborhood in the west and that will continue,” Lieberman said. The FM said during the press conference that she had arrived in Israel to make sure that peace talks between Israel and the Palestinians were getting started and that direct talks were initiated geared at ending the conflict. “I’m here to support bilateral relations with Israel,” Ashton said. Earlier Wednesday, President Shimon Peres called the United States “a true friend” and said that both Israel and the U.S. want to ease the recent tensions between the two nations. Speaking about indirect talks with the Palestinians, Peres said such talks, while not ideal, are better than nothing. Netanyahu and U.S. Vice President Joe Biden spoke on the phone Tuesday night in a bid to reduce recent friction between the U.S. The New York Times also said that the American administration had confirmed the conversation. The Prime Minister’s Bureau did not elaborate on the details of the conversation, which lasted until 2 A.M. Netanyahu’s advisers Yitzhak Molcho and Ron Dermer, along with Israeli envoy to the U.S. Michael Oren, were also present. Israeli Prime Minister Benjamin Netanyahu has distanced himself from his brother-in-law’s description of US President Barack Obama as anti-Semitic. He said he “strenuously” objected to Hagai Ben-Artzi’s comment and expressed his “deep appreciation” for Mr Obama’s commitment to Israel’s security. Mr Ben-Artzi was responding to US criticism of Israeli approval of plans for 1,600 new homes in East Jerusalem. Later, Mr Obama said the decision had not been helpful to the peace process. But despite the disagreement, he told Fox News that there was no crisis in US-Israeli relations and that the two countries had a special bond that was not going to go away. “Friends are going to disagree sometimes,” he added. On Sunday, a top aide to Mr Obama called Israel’s announcement “calculated”, “destructive” to peace efforts and an “insult” to the US. Both sides had just agreed to hold indirect “proximity talks” to revive the peace process, which has been stalled for more than a year. In an interview with Israel Army Radio, Mr Ben-Artzi said his brother-in-law should learn from previous Israeli prime ministers. “Once the Americans tried to intervene in anything related to Jerusalem we told them one simple word: ‘No’,” he explained. Mr Obama, he added, not only disliked Mr Netanyahu personally, but “dislikes the people of Israel”. He said it was clear Mr Obama agreed with Rev Wright because he had remained a member of his congregation. “Think about it. If you had heard of someone who for 20 years sat in church and heard anti-Semitic sermons and didn’t get up to leave after two weeks, wouldn’t you think he identifies with it?” he asked. “As a politician running for presidency he had to hide it, but it comes out every time and I think we just have to say it plainly – there is an anti-Semitic president in America,” he said. Mr Obama broke with the Trinity United Church of Christ in 2008 after some of Rev Wright’s controversial sermons emerged on the internet. In one, he said the 9/11 attacks were an example of “America’s chickens coming home to roost”. “I have a deep appreciation for President Obama’s commitment to Israel’s security, which he has expressed many times,” Mr Netanyahu said in a statement afterwards. But despite the rebuke from his sister’s husband, Mr Ben-Artzi repeated his criticism of Mr Obama in a later interview with Israel’s Channel 2 television. The Palestinian Authority has refused to resume direct talks with Israel because of its refusal to put a stop to the expansion of settlements in the West Bank and East Jerusalem. In November, Israel announced a 10-month suspension of new building in the West Bank, under heavy US pressure. But it considers areas within the Jerusalem municipality as its territory and thus not subject to the restrictions. Close to 500,000 Jews live in more than 100 settlements built since Israel’s 1967 occupation of the West Bank and East Jerusalem. They are illegal under international law, although Israel disputes this. US and Israeli diplomats are trying to bridge divisions over Israeli building plans in occupied East Jerusalem, as clashes in the city have waned. The Palestinians have pulled out of indirect talks because of the plan. The US is awaiting Israel’s response to its request for gestures to reassure the Palestinians. Clashes on Thursday between Palestinian stone-throwers and Israeli security forces have died down, but new violence began on Wednesday in the West Bank. Overnight, Israeli Prime Minister Benjamin Netanyahu’s office welcomed comments by US Secretary of State Hillary Clinton dismissing claims that US-Israeli ties were in crisis. She had accused Israel of “insulting” and “deeply negative” behaviour after the Israelis announced they had pushed forward plans for 1,600 new homes in East Jerusalem during US Vice President Joe Biden’s visit to the region last week. In her latest comment, she called the bond between the US and Israel “unshakeable”, but also urged Israel and the Palestinians to prove their commitment to peace. Mr Netanyahu’s office said it appreciated her “warm remarks”, but added that Israel had already proved its commitment to peace “in both word and deed”. Mr Netahyahu has apologised for the timing of the settlement announcement, but has stood by Israel’s policy on Jewish building in Jerusalem. Also on Tuesday, Israel’s ambassador to the US, Michael Oren, denied comments widely quoted by Israeli media as saying that ties between the US and Israel were at their lowest point since 1975. On Wednesday, movement restrictions on Palestinians, which had been in place for five days, were lifted as the previous days’ clashes died down in Jerusalem. But violence broke out in the village of Beita in the northern West Bank, as at least 100 Palestinians threw stones at Israeli security forces, who responded with tear gas and rubber-coated bullets. Clashes also took place at Qalandia checkpoint and Beit Anoun, near Hebron in the southern West Bank. 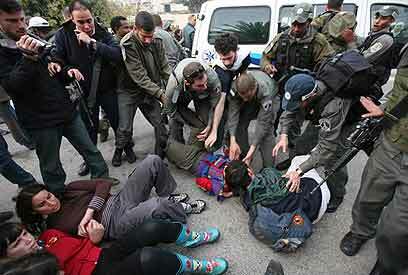 In Tuesday’s unrest, the police said about 60 Palestinians had been arrested. Dozens of Palestinians and 15 police were injured, including one policeman who was shot in the hand. The Islamist movement Hamas had called for a “day of rage” in defence of the Muslim holy site, the al-Aqsa mosque, in Jerusalem’s Old City. Palestinians were angered over Jewish right wingers’ plans to enter the compound, which Jews call the Temple Mount, although police cancelled the event. The reopening of a synagogue in the Jewish quarter of the Old City also increased tensions, as did five days of Israeli security restrictions limiting access to the al-Aqsa mosque to women and men over the age of 50. Palestinians are also enraged over Israel’s continued building in East Jerusalem, where they want their future capital. The international community considers East Jerusalem occupied territory. Building on occupied territory is illegal under international law. Israel captured East Jerusalem in the 1967 Israeli-Arab war, and later annexed it in a move not recognised by the international community. President Shimon Peres called the United States “a true friend” on Wednesday and said that both Israel and the U.S. want to ease the recent tensions between the two nations. Prime Minister Benjamin Netanyahu and U.S. Vice President Joe Biden spoke on the phone Tuesday night in a bid to reduce friction between the U.S. and Israel over a plan to construct 1,600 new housing units in East Jerusalem. Israel’s announcement of plans to build 1,600 housing units in East Jerusalem strained ties with the U.S., which has said it regarded last week’s decision – made public while Biden was in Israel – as an insult. Netanyahu is expected to convene a meeting of seven senior cabinet ministers on Wednesday to discuss a response to demands raised by U.S. Secretary of State Hillary Clinton that could help defuse the diplomatic row. A U.S. State Department spokesman said Clinton and Netanyahu may speak by phone as early as Wednesday. Netanyahu is expected to deliver Israel’s official response to Clinton during that conversation. Clinton’s demands include the cancellation of the Ramat Shlomo construction project in East Jerusalem, which was announced during U.S. Vice President Joe Biden’s visit to the region last week. She also wants goodwill gestures toward the Palestinians and a public declaration by Netanyahu of his willingness to discuss the conflict’s core issues in the framework of peace negotiations with the Palestinian Authority. Israel’s response had been set to be the main focus of a meeting Wednesday of the forum of seven senior cabinet members, though that meeting will now not take place. Clinton said Tuesday that Israel must prove it is committed to the Mideast peace process. But she brushed aside suggestions that relations with the main U.S. ally in the Mideast are in crisis over Israeli plans to build new Jewish housing in East Jerusalem. She stressed that the United States remained committed to Israel’s security despite current tensions. “We are engaged in very active consultations with the Israelis over steps that we think would demonstrate the requisite commitment to the process,” Clinton said. She had outlined her steps that Israel could take in a telephone call to Netanyahu on Friday. State Department spokesman Philip J.Crowley on Tuesday also tried to downplay the tension, saying that no one in U.S. administration used the word “crisis” to describe the situation. Also on Tuesday, Ambassador Oren said that he was misquoted in the media over the recent diplomatic row. “Recent events do not – I repeat – do not represent the lowest point in the relations between Israel and the United States,” clarified Oren. Still, in contrast to the tone of messages exchanged in recent days, the statement from Netanyahu’s office included praise of Clinton’s assertion that ties between Israel and the United States are unbreakable and that Washington remained committed to Israel’s security. Discussions between Netanyahu aides and White House officials continued Tuesday in an effort to ease tensions. The U.S. Mideast envoy, George Mitchell, canceled a visit to the region that was scheduled to begin on Tuesday. 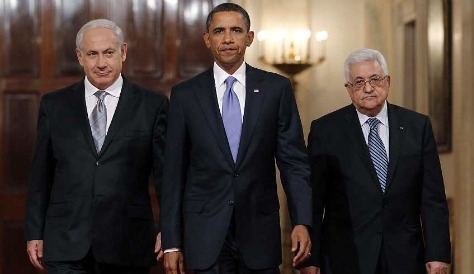 WASHINGTON — For President Obama, getting into a serious fight with Israel carries obvious domestic and foreign political risks. But it may offer the administration a payoff it sees as worthwhile: shoring up Mr. Obama’s credibility as a Middle East peacemaker by showing doubtful Israelis and Palestinians that he has the fortitude to push the two sides toward an agreement. The risks at home were on display on Tuesday, as more than two dozen members of Congress, many of them Democrats, implored Mr. Obama to ease the tensions with the Israeli government after its announcement of a Jewish housing plan during a visit by Vice President Joseph R. Biden Jr.
For all the angst coming from Capitol Hill, however, the Obama administration seemed generally unruffled. And there were tentative signs that it was taking steps to cool the temperature. Mr. Biden and Prime Minister Benjamin Netanyahu of Israel spoke by telephone on Tuesday evening, an administration official said. It was not clear what the two men talked about; aides to Mr. Biden did not return calls. And earlier on Tuesday, Secretary of State Hillary Rodham Clinton reaffirmed the relationship between the United States and Israel, brushing aside talk of a crisis. Mrs. Clinton did keep up the pressure on Mr. Netanyahu to demonstrate that he was committed to negotiations with the Palestinians. A senior administration official said the harsh rebuke of Mr. Netanyahu, delivered in a phone call last week by Mrs. Clinton, was important “to demonstrate we mean what we say when we enter these talks.” The announcement of a housing plan, the official said, undermined trust just as the United States was trying to open indirect talks between the Israelis and Palestinians. “We felt we had to call that out,” he said, on the condition of anonymity because of the delicacy of the matter. “I am confident that we will overcome these differences shortly,” he said. That soured the Palestinians and left much of the Arab world wondering whether Mr. Obama would ever deliver on the promise in his speech in Cairo of a new approach to the Muslim world. American officials worried that this credibility gap could hinder their campaign to rally support from Persian Gulf countries for new sanctions against Iran over its nuclear program. But Mr. Rothkopf, like others, sees as many risks as rewards. The harshness of the American response to Mr. Netanyahu, he said, could call into question the ability of the United States to manage its relationship with Israel. “The administration’s prestige in the region is damaged by its inability to manage the one relationship they are supposed to be able to manage,” he said. Other analysts said the United States should not use a specific grievance over housing units to press a broad range of extremely difficult issues with Israel. That message was echoed by Gen. David H. Petraeus, the commander of the military’s Central Command, who told the Senate Armed Services Committee that the lack of progress in the Middle East was a large challenge to American interests. “The conflict foments anti-American sentiment due to a perception of U.S. favoritism toward Israel,” he said.